This are the pillars which are upheld by the Vietnamese Student Association at the University of Washington (VSAUW). 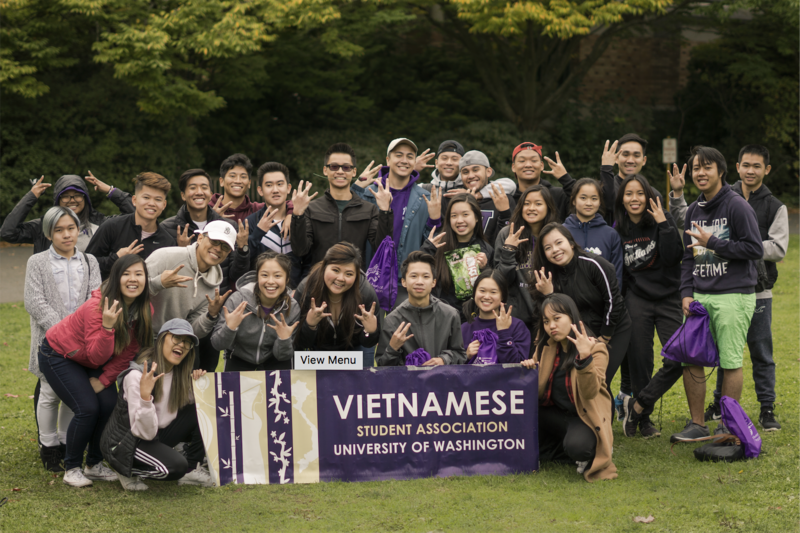 Through our work, we strive to achieve the mission of fostering relationships between students at the University of Washington and the greater Vietnamese community by developing the next generation of leaders in the Vietnamese community, and hosting events to promote Vietnamese heritage and culture. From sharing laughter with our members at general meetings, to listening to anecdotes of Vietnamese elders at volunteering opportunities, VSAUW is driven to embrace the unique stories of individuals from our ethnic background. This year, our club set out to achieve three major goals surrounding the theme of cohesion. We established a goal to utilize our online media outlets. Facebook has always been our main outlet but we wanted to expand our reach that includes our Instagram and YouTube channel to build a stronger relationship with our young members. These outlets, initially made years ago for purely entertainment, became tools of storytelling that would expand the voices of our organization to a greater audience. Entering its second year in the media, the “I am Vietnamese” project publishes the distinct stories of our Vietnamese American members as we focused on articulating the words of pride and empowerment given by our student entries for our traditional installments. One of the more unique installments, a YouTube video called “IAV Project: March – PK Bois React to VPOP”, taped our Pho King contestants reacting to popular Vietnamese music reached four thousand views in 2 months from countries around the world. As an organization, we sought to build a stronger relationship with the surrounding campus community at the University of Washington. From scratch to finish, we implemented grand events that allowed us to build an influential presence on campus. 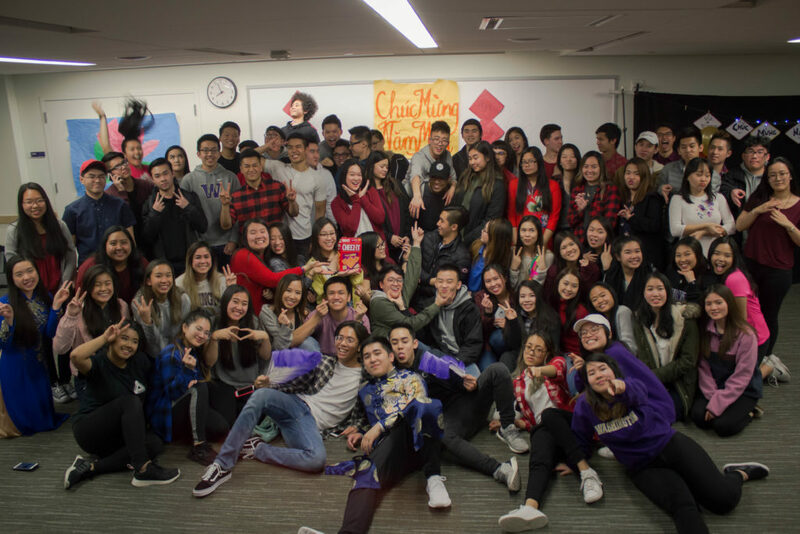 Our formal, a collaboration with two other on-campus clubs, helped to make the name VSA known at the University of Washington. Our second collaboration dove into a very different realm; one that placed emphasis on the sociopolitical context of our time. It was a much needed event to talk about the hardships of deportation in the Southeast Asian community. In our Black April meeting, we also found a way for faculty to be involved by inviting a Vietnamese American professor from the American Ethnic Studies department to attend and share her experiences. At that same meeting, we also had the president of the Vietnamese community in the greater Seattle area attend and speak. VSAUW owes its outstanding year to the dedication of everyone involved. To begin, no organization exists without members, and so rain or shine, VSAUW could be found at the beginning of every quarter at the central area of UW, tabling to recruit members. While tabling, we encouraged officers to pass out flyers and talk to people who looked like they might be interested. We were able to strike up interesting conversations, and many first-year students were appreciative of this inviting atmosphere in a new environment. This year, VSAUW reached out to three other clubs at UW to put on two events. The first is our first-ever formal dance, done in collaboration with IndonesianSA and MalaysianSA. The second is our forum on the deportation of Southeast Asians, done in collaboration with KhmerSA.The officer team knew that our resources were limited, and any revenue we generate during the year would go to a philanthropic organization. This meant that we had to maximize efficiently using all the resources already at our disposal. VSAUW was diligent in applying for grants through UW, and reaching out to the community for possible sponsorships. In VSA, we try our absolute best to arm our incoming officers with knowledge from the old officers. A meeting is organized at the beginning of the year where outgoing officers speak to incoming officers, and vice versa. We also keep an archive of past files available for new officers. VSAUW prides ourselves on being thorough and efficient. We have carefully allocated work to all members of the team so that no one is idle while there is something to be done. During collaborations, VSAUW always made sure to keep an effective line of communication with any entities we work with. Một cây làm chẳng nên non, ba cây chụm lại nên hòn núi cao. This Vietnamese proverb is at the heart of VSAUW’s successes. VSAUW does not exist without the entirety of the officer team. It takes passion and dedication to run an organization with such big aspirations. As officers, we have to be fully supportive of each other and the projects that our colleagues pour their heart and soul into planning and executing. This year, the VSAUW officer team faced many struggles, but the path to success never did run smooth, and our story would not be complete without an apotheosis. It is because of our lowest points that we are able to have our best moments. These obstacles are learning experiences, ones that have taught us more about leadership, the club, and most importantly, who we are as people. Structurally, the officer team is subdivided into three branches. Executive team is responsible for making overarching decisions for the club, event team is responsible for planning events and meetings and making them happen, and media team is responsible for web-presence and outreach. This structure is meant to divide the work within the team fairly, as well as keeping things running efficiently. Within the team, we encourage transparency in any inter-team communications. Our work folder is open to all members of the officer team. Our weekly officer meetings supplements this transparency. It is a chance for us to update one another with details of personal projects and ask for help when we need it. Before beginning their term, each officer must sign a contract that details their responsibility and consequences if they fail to follow through. The “three-strikes” system is enforced carefully, making sure that everyone is accountable for doing their share, while also making room for officers to be able to voice their concerns. Throughout the year, there were times when we faced difficulties, but once individuals reached out to the team, they were always met with support. We were able to accommodate busy schedules as college students, while still being able to hold events for the general members. At the beginning of this year, we were still using last year’s template to plan events and projects as our officers acclimated to their new positions. 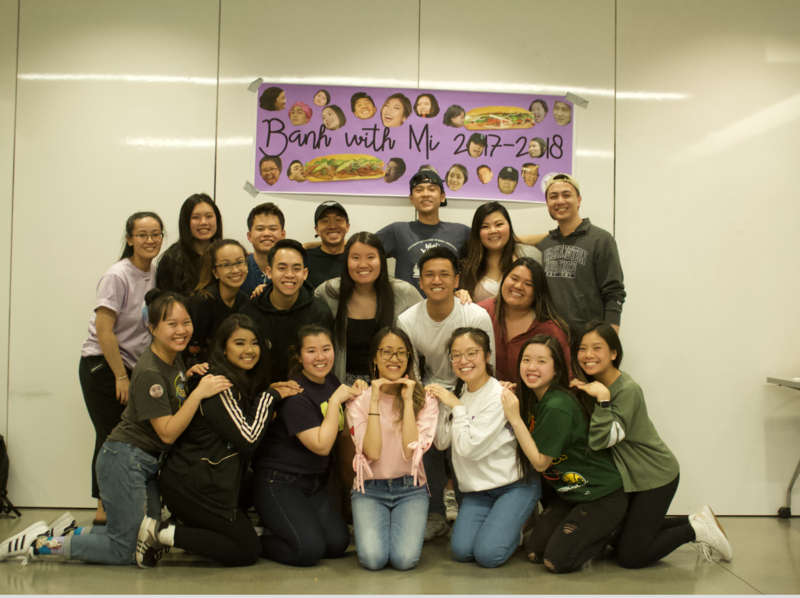 While this was successful and we were able to put on fun meetings and events fall quarter, it wasn’t until we were all comfortable in our responsibilities that we began to push our boundaries as a VSA. An example of this growth is our collaboration with two other on-campus clubs to plan and execute a formal dance. This is the first time VSAUW has ever hosted a dance for its members. Our members fully utilized this event to bond with each other, and that bond can be seen everyday thereafter. VSAUW also developed a sense of social justice this year through our forum on the deportation of Southeast Asians that we co-hosted with the Khmer Students Association. It was a landmark event for VSAUW, one that helped us to grow as an organization and do good in our own community. We know that we left a lasting impact on our members and on the Southeast Asian community in Seattle by answering the hard questions about deportation. We were able to help a Vietnamese American man who is facing deportation find the resources necessary to fight the notice and stay with his family. This year, VSAUW has evolved beyond surface-level engagements to come into its own as a formidable campus organization, one that cares for its members and the community it’s in.